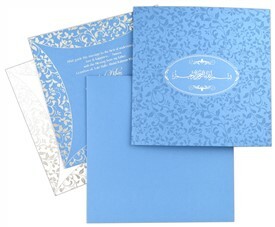 Silver screen printed “Bismillah- Ir Rehman Ir Rahim” symbol beautifies the main card. 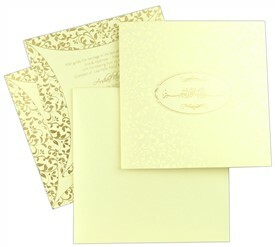 The main card has floral self-print also. 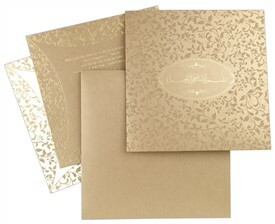 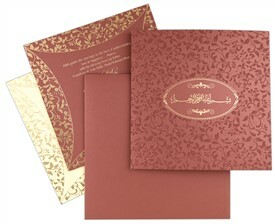 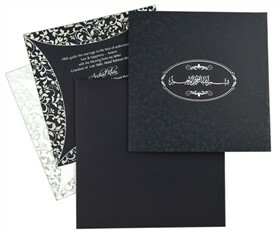 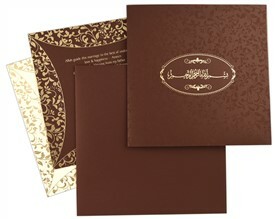 The inserts are adorned with floral border. 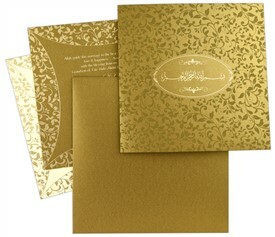 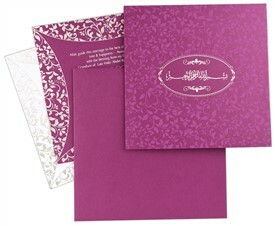 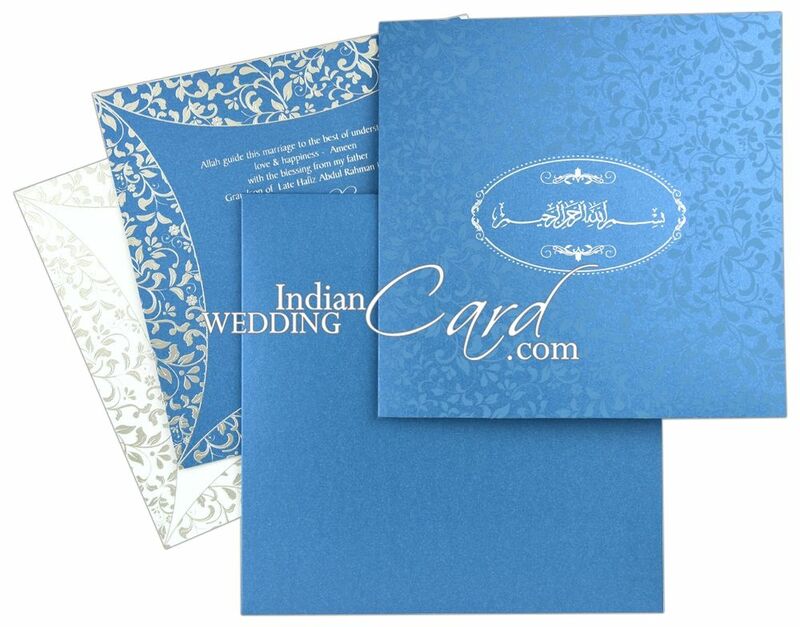 This card is a perfect blend of simplicity and classiness! 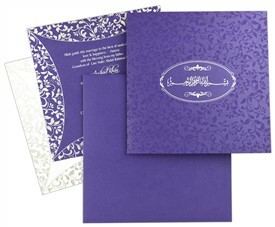 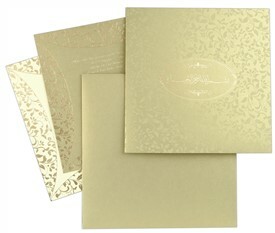 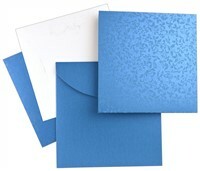 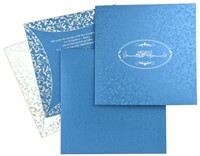 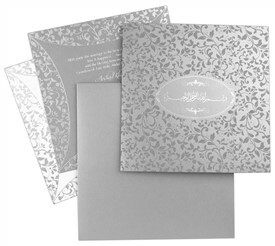 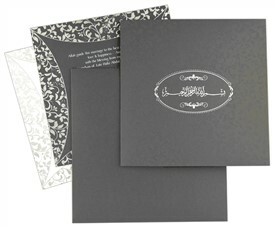 Sky-Blue shimmer paper (250 gsm) for main card, envelope and 1 insert. 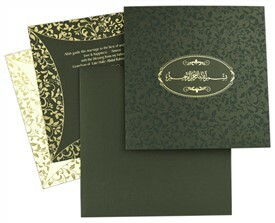 2nd insert in white shimmer paper (250 gsm).